MMA parents, grandparents and families are part of our community. We would like to keep you informed and involved. 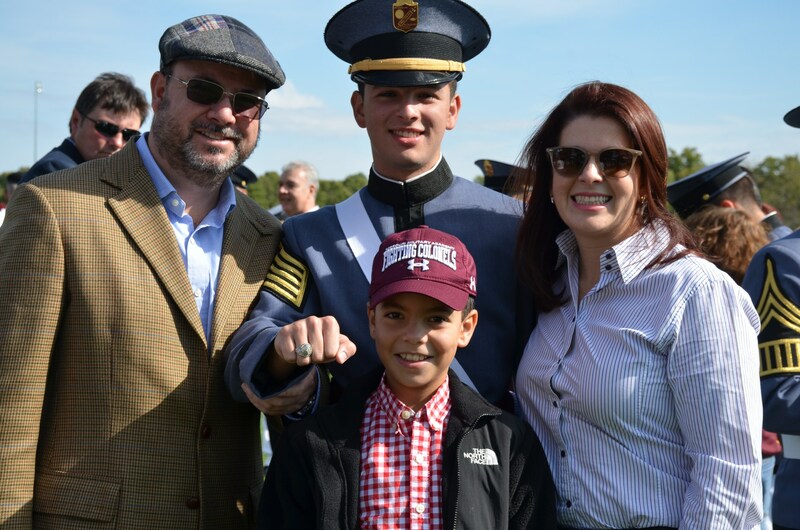 The links to the right can take you to the resources you need as a cadet parent. The Parent and Cadet Handbooks are located in the Grades Online portal, which is password protected, and also in the Forms Portal. During the school year, you will see links to all of the parent newsletters. We do most of our official communications via email, and please note that if you unsubscribe to any MMA emails, you will remove yourself from all email communication. Please also check to make sure your emails are not in a spam filter. Below you will find the important dates for the coming year. The calendar is always kept up to date. The academic/marking period calendar may be found in the right-hand column. NOTE: The school year is not complete until noon on May 25. Note: Cadets may remain on campus during the Thanksgiving Break. Cadets may sign out with parents on Tuesday, November 20, after classes. Students must return Sunday, November 25. Note: This is a mandatory leave. Cadets may sign out with parents on Thursday, December 19. Students must return Sunday, January 6. Cadets may sign out with parents on Friday, March 1, after classes. Students must return Sunday, March 10. Event weekends such as Homecoming, Fall Family Weekend, Commencement, Valentine and Spring Family weekend are all-school events that require the full participation of the Corps. In order to promote our team mentality and a sense of responsibility, cadets are not permitted (with few exceptions) to take open weekends during that time. Easter (Saturday-Sunday, April 20-21). Note: Students may sign out with parents on Friday, March 19, after classes. Mother's Day (Saturday-Sunday, May 11-12, 2018). Note: Cadets may sign out with parents on Friday, May 10, after classes. Cadets in good standing receive two additional open weekends per year. All class time is valuable. Students are required to be back on campus at the stated end of furloughs. Please plan accordingly to avoid unexcused absences and loss of course credit. Should airline or other travel complications occur, we require students to provide documentation upon return. These must be completed for every cadet.